After the collapse of a dam in Brazil on Friday, the rescue team says there is a low chance of finding survivors. Meanwhile helpers found a bus containing several corpses bringing the death toll to an estimated number of 58 people. Brazilian officials say there are about 305 more people missing. Even though the search team hopes to find survivors, the chances decrease every hour. 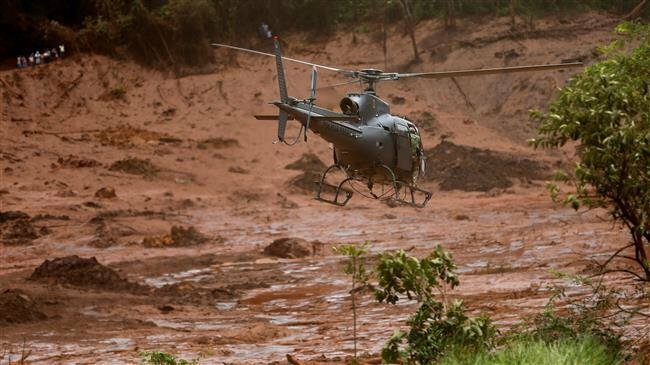 “After 48 hours of work, the chance of finding [someone]alive is very low,” the leader of the search operation, Col Eduardo Angelo, said, “[but]we’re working with the possibility that we’ll find people alive.” The rescue operation is dangerous as the mud reached a level of 15 metres at some places. The catastrophe took place in Brumadhino. After the damn breaking, millions of tons of mud and water broke upon the surrounding area burrying houses, cars and streets. The damn was run by Brazil’s largest mining company, Vale, who claimed all safety procedures were followed. The damn, built in 1976, was already closed down and scheduled for demolition. The cause of the accident has yet to be found out.